Surf City Squeeze’s proprietary smoothie mix is what makes our delicious smoothies special enough to make up 90% of our menu. Our menu promotes overall well-being to keep customers motivated to ride waves, hit the gym or simply take on their day-to-day routines. 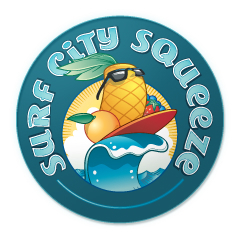 While other drinks can cause wipe outs, Surf City Squeeze smoothies offer a feel-good pick-me-up.